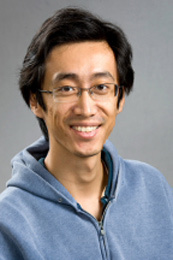 Dr. Pei Zhang is an associate research professor in the ECE departments at Carnegie Mellon University. Dr. Zhang’s research interest is in cyber physical systems, internet of things, and sensor networks. He received his bachelor's degree with honors from California Institute of Technology in 2002, and his Ph.D. degree in Electrical Engineering from Princeton University in 2008. While at Princeton University, he developed the ZebraNet system, which is used to track zebras in Kenya. It was the first deployed, wireless, ad- hoc, mobile sensor network. His recent work includes SensorFly (focus on groups of autonomous miniature-helicopter based sensor nodes) and MARS (Muscle Activity Recognition). Beyond research publications, his work has been featured on popular media including CNN, NBC, Science Channel, Discovery Channel, CBS News, CNET, Popular Science, BBC Focus, etc. He is also a cofounder of the startup Vibrado tech. In addition, he has won several awards including the NSF CAREER, Edith and Martin B. Stein Solar Energy Innovation Award, and a member of the Department of Defense Computer Science Studies Panel. SensorFly: Environment Inference through Airborne Sensor Network: SensorFly is aimed at an emerging class of highly dynamic building scale sensing applications using a swarm of micro-drones, such as monitoring fire in a burning building or finding adversaries in police/military actions. We developed SensorFly, that takes a minimalistic sensor network approach to a traditional heavily instrumented robotics problem. By fully leveraging the nodes’ sensors, collaboration between nodes, and robustness in collisions, these nodes can sense and deploy autonomously by inferring the environment. This work utilizes the data-driven and heuristic models of buildings for hybrid modeling. Building on this work, I received the NSF CAREER award, the DoD Computer Science Study Panel award, multiple best demo, best poster, and best presentation awards, as well as wide media coverage. Gotcha: Pollution Source Inference through Instrumented Taxies: Our Gotcha project aims at understanding and managing the city pollution level on a fine-grained resolution using a vehicle fleet. Current monitoring methods mostly utilize labor intensive manual inspection or highly expensive monitoring stations. Due to the associated expense, monitoring has been scarce even in densely populated areas. In our work, we deployed an inexpensive (~$400) sensing and analytics platform using the taxi fleet to create a pollution map and infer pollution sources. This work combines the low resolution data collected by the taxis, heuristic map information, as well as physics-based airflow/weather models to create a city-wide fine-grained pollution information. To validate our work, we have deployed our system on 100 taxies and is expanding to the entire 10,000 electric taxi fleet in Shenzhen. FootPrint: Occupant Tracking and Characterization through Floor Mounted Geophones: Through collaboration with the Civil Environmental Engineering Department and building on my previous building-scale work, I have been working on the concept of “buildings as sensors”. In particular, we use the building structural responses to users and environments to sense, identify, localize, and characterize persons and then understand various information (e.g., occupant activity level, health status, mood, weight, etc.). We have been collaborating with a faculty in CEE (Hae Young Noh), a senior care facility (Vincentian Collaborative System, Pittsburgh, PA), and a physical therapy clinic (Lucas Physical Therapy and Fitness, Sunnyvale, CA) to carry out the work in the context of elderly healthcare. This work combines heuristics of building layout, human observations, with analytics of building dynamics, wave propagation, and sensing data collected at various points in the building. In addition, to a number of papers, we are starting a company (Venueble) as well as generating IP. MARS: Muscle Sensing through a Wearable Suit: The MARS project aims to measure muscle tiredness and warns of potential injuries. Existing method directly measures electric signals in the muscle, which is highly invasive and not suitable for active environment. The MARS system infers unobservable muscle information by focusing on high frequency vibrations that the activated muscles generate collected from multiple sensors above a muscle. Through these measurements, the system is able to determine body motion, muscle activity, as well as muscle fatigue in active environments. Here, in addition to a data-driven model, we combine muscle physiological models as well as understanding of the body movement structure to enhance accuracy. Realizing the applicability to real-world scenarios, we have also patented the work, which is crucial to my cofounding of the CMU spin out startup Vibrado. My research work at CMU and the resultant IP have led to the founding of multiple startups. Most recent is Vibrado Technologies leverages the IP from our research in wearable sensing systems from the MARS project, to develop a wearable sensing and analytics product for professional athletes to help import their performance. My research touches on many domains, this led naturally to disseminating them to multiple communities. My work has been discussed in hundreds of survey papers, and is widely viewed as seminal work in the area. I have chaired a number of conferences, created and chaired workshops, participated in technical program committees, government panels, etc. More broadly, my work has also been featured as cover stories in Popular Science, and BBC Focus, and appeared in news outlets including New Scientist, Wired, Popular Mechanics, etc. In addition, the work has also been featured in popular media outlets including the season 2 premiere episode of “Michio Kaku: Science of the Impossible” on the Science Channel, and appeared as special segments in other outlets such as CBS, CNN, CNET, NBC, Discovery Channel, etc. In addition, media generated from our research, has been featured in publicity for CMU, e.g. online stories, press releases, banners in the city of Pittsburgh and Mountain View. - Note, this story was carried on multiple local news outlet too numerous to listed. PCWorld, “Researchers envisage swarms of tiny drones for dangerous rescue missions”, Aug 2015. CNET TV Always On: Helibots to the rescue!